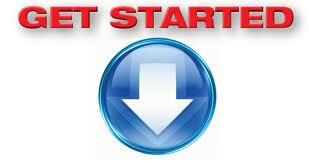 We want you to tap your amazing potential and enjoy lasting results. Here are things that you can do. Tap the Take Charge of Your Talent Community and receive a free copy of the Introduction to the book. 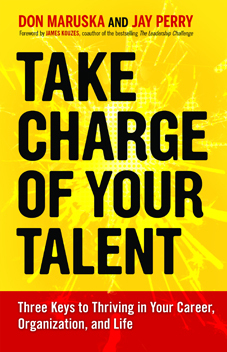 Buy the book and learn about what Take Charge of Your Talent has to offer. Read and comment on the Take Charge of Your Talent blog posts and become part of the conversation. Support from a Certified Talent Champion to deepen and accelerate your success. Talent Checklist: These are the common objectives that we help people and organizations achieve. Please look through this list and mark all that are true for you or your organization. I have untapped talents that I want to engage. I'd like to have more satisfaction from the use of my talents. I'm interested in exploring if there are even more opportunities to tap my talents and boost my satisfaction than I might imagine. I have hopes that I'd like to pursue. I want to grow and learn. I want to overcome some obstacles or concerns that stand in my way. I'd like more resources (people, things, etc.) to realize my hopes. I want more clarity about which direction and actions to take. I want to talk through what I'm thinking to get my ideas sorted out and clarified. I'm looking for new insights and ideas that come when someone really listens to me and takes a strong interest in my success. I'd like someone to be in my corner, just focused on supporting me, and not trying to drive me anywhere. I'm interested in developing a clear plan to move forward. I want to focus and prioritize all of the things on my plate. I want more time to make the highest and best use of my talents. I have talents and skills and want to make them more marketable to others (employer, prospective employers, etc.). I want to pursue these objectives as cost effectively as I can and remain in charge of my choices and direction. We want to engage our employees more effectively. We need to tap more of our employees' talents. We'd like employees to be more satisfied in their work. We want everyone to be more self-motivated. We're curious about how we can tap our employees' best thinking for their benefit and the organization's gain. We're interested in a cost-effective approach so that we can engage not only a small group of high potentials but also a broad range of employees that we need for success. Our senior people are stretched very thin. So, we need a way that doesn't overburden them in guiding the development of new talent. We'd like to see how we can stimulate a culture of talent that encourages everyone to learn and grow. We're growing and need our employees to stretch and grow with us. We have some people retiring and want to prepare people to replace them. We want effective ways to translate what employees know into enduring assets for our organization. We'd like to explore how everyone can be both a learner and a teacher. We want to develop a team of people in our organization to catalyze the talents in our workforce.